GORGEOUS 4BR COLONIAL ON DEER HOLLOW TRAIL!! 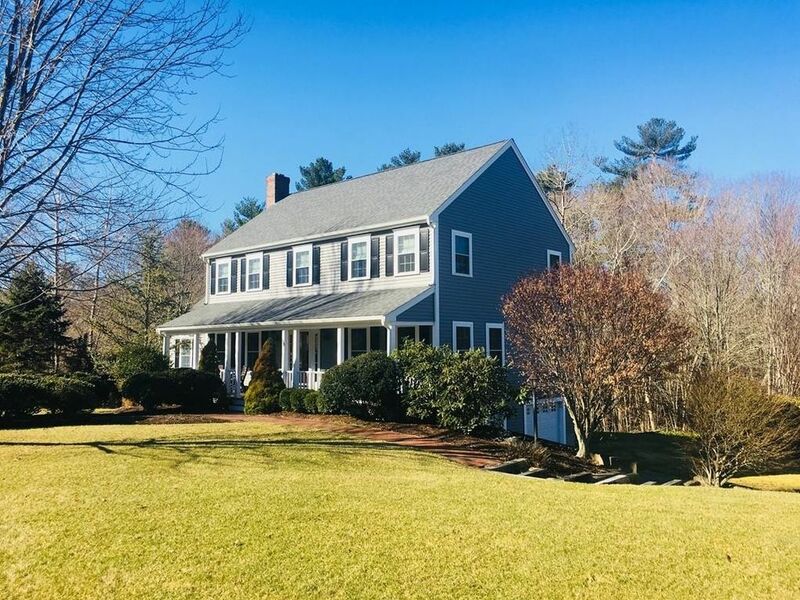 This lovely home sits on a beautiful, 2ac, corner lot in one of the most sought after Raynham neighborhoods. Aesthetically pleasing from the start with its traditional New England charm, it is the sense of stylish comfort you will feel, and the open flow concept that will really win you over! This home is welcoming from the minute you step onto the great farmers porch. Inside, the large foyer draws your attention to a stunning DR with a formal flare, and then over to the modern Kitchen with its shiny stainless and its sleek quartz counters that lead you to the large bright LR with brick FP and french door to a balcony deck. This floor plan couldn't be more perfect for entertaining. But wait, there is also a huge FR addition. Vaulted ceilings, skylights, built-ins.. luxurious, yet screams comfort and family gatherings. This beautiful home rolls it all into one unbelievable package! Schedule your showing today!